Topics include: flipping forward & backwards, twisting forward and backwards, multiple flipping. Many athletes and coaches have enjoyed George Hery's presentations for many years. Now he is making them available to everyone by making this series of DVDs. 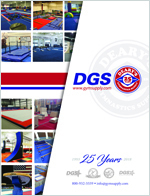 Whether you are a high level trampolinist, a coach, or a beginning recreational athlete, there is something on this DVD for you. 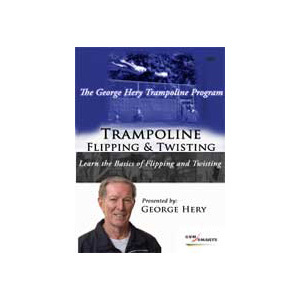 For over 40 years George H. Hery has been one of the most well-known clinicians and presenters on trampoline and acrobatics. Also an acclaimed gymnast, performer, and mentor, he is a true acrobatic legend in 2004 he was inducted into the World Acrobatic Society Hall of Legends.